Livery Yellow with blue and red stripes on between decks panels. Red and white bands below lower deck windows. White roof. 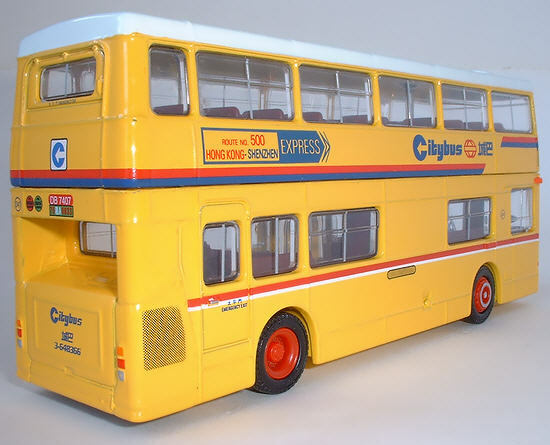 Notes Part of Code 2 Citybus gift set 19906(A) with model 13912 which was only available in Hong Kong. This model also has additional Chinese registration marks 75#A0033. 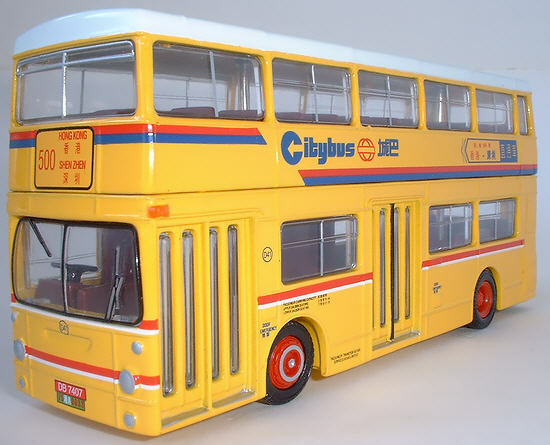 Limited edition 1250 sets supplied with numbered certificates produced for Hong Kong Citybus.